If you walked around the La Casa garden, you’d probably wonder why we planted so many sunflowers. Well, we didn’t actually plant a single one. At least no one did this year. They are all volunteers. 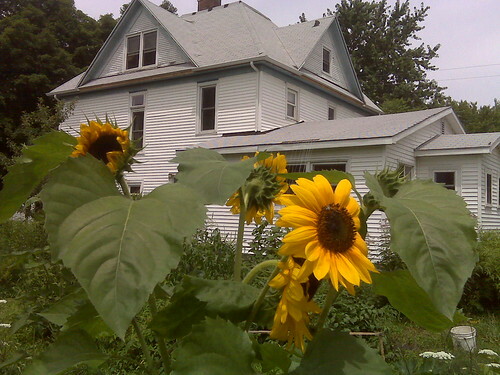 I planted some sunflowers near the front porch in about 1998. The squirrels took most of the seeds. Maybe they buried them.